Timing of Examination 02:30 p.m. to 05:00 p.m.
*Other Backward Classes-Non Creamy Layer as per the central list of Other Backward Classes available on National Commission for Backward Classes (NCBC), Government of India website www.ncbc.nic.in. Only the candidates falling in this list may mention OBC in the Category Column. State list OBC candidates who are not in OBC-NCL (Central List) must choose General/Unreserved. ** Candidates of Remote and Underprivileged States must check their eligibility before applying. ***As per the OM No. 20013/01/2018-BC-II dated January 17, 2019, issued by the Ministry of Social Justice and Empowerment and the OM No. 12-4/2019-U1 dated 17.01.2019 as well as the Letters No 35-2/2019-T.S.I dated 21.01.2019, 01.02.2019, 04.02.2019 and 15.02.2019 of MHRD Department of Higher Education regarding the implementation of reservation for Economically Weaker Sections (EWSs) for admission in Central Educational Institutions. 2. 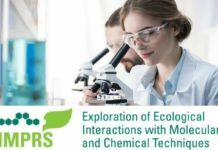 Candidates can apply for ICAR- AIEEA (PG) 2019 “Online” on the website www.ntaicar.nic.in. 3. Online Application Form may be submitted by accessing NTA website www.ntaicar.nic.in. The Application Form other than online mode will not be accepted, in any case. 4. Only one application is to be submitted by a candidate. 5. Candidates must follow the instructions strictly as given in the Information Bulletin and on NTA website www.nta.ac.in, www.ntaicar.nic.in. Candidates not complying with the instructions shall be summarily disqualified. 6. Candidates must ensure that e-mail address and Mobile Number provided in the Online Application Form are their own as all information/ communication will be sent by NTA through e-mail on the e-mail address or SMS on given Mobile Number only. Download Information Bulletin and Replica of Application Form. Read them carefully to ensure your eligibility. Step-1: Fill in the Online Application Form and note down the system generated Application No. Step-2: Upload scanned images of Candidate’s Photograph (between 10kb – 200kb) and Candidate’s Signature (between 4kb – 30kb) in JPG/JPEG format. Step-3: Make payment of fee using SBI/Syndicate/ICICI/HDFC Payment Gateway(s) and keep proof of fee paid. Step-4: Print at least three copies of Confirmation Page after successful remittance of fee. All the 4 Steps can be done together or at separate times. 1. The final submission of the Online Application Form will remain incomplete if Step-2 and step-3 are not completed. Such forms will stand rejected and no correspondence on this account will be entertained. 3. The entire application process of ICAR-AIEEA (PG) 2019 is online, including uploading of scanned images, Payment of Fees, and Printing of Confirmation Page. Therefore, candidates are not required to send/submit any document(s) including Confirmation Page to NTA through Post/ Fax/ by Hand. 4. Candidates are advised to keep visiting the NTA website regularly and to check their e-mails for the latest updates. 5. No TA and DA will be paid to the candidate for appearing in the examination at the centre or for joining the University after Counselling. Students for 25% seats in accredited Master degree programmes in accredited colleges of accredited AUs’ are admitted through ICAR-AIEEA (PG). All (100%) seats of the four ICAR-DUs namely, Indian Agricultural Research Institute (IARI), Indian Veterinary Research Institute (IVRI), National Dairy Research Institute (NDRI) and Central Institute of Fisheries Education (CIFE) are also filled up through the same examination. allied sciences. ICAR (PG) Scholarship for postgraduate studies namely, ICAR (PG) Scholarship, shall be awarded to 600 candidates based on merit in this examination as per their overall merit-rank and seat availability in different disciplines. The remaining admitted students will be awarded NTS (PGS). Candidates qualified for counselling will be considered for allocation of subject and the Agricultural University as per online counselling procedure of ICAR. There is no provision of direct nomination for admission through ICAR in any Master degree programme without qualifying in ICAR-AIEEA (PG). will be available at the time of online counselling. Schedule for important examination related activities has been given in Table 1. However, candidates are requested to keep themselves updated about the schedule through NTA and ICAR websites www.nta.ac.in, www.ntaicar.nic.in and www.icar.org.in. Candidate must ensure that he/she fulfils the eligibility requirements for the examination as well as an admission as detailed in the Information Bulletin. 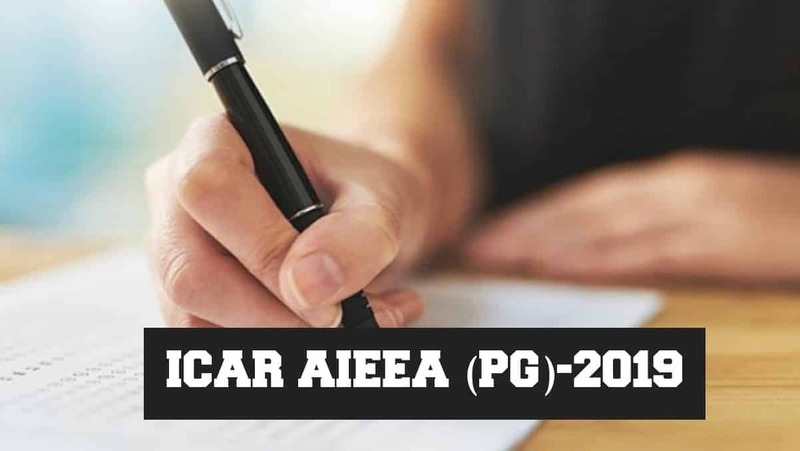 Applying for ICAR AIEEA (PG) 2019, appearing in the examination and qualifying the same does not necessarily mean acceptance of eligibility. The applicant for a particular Subject must satisfy the eligibility criterion as specified in this Information Bulletin (or its amendments/corrections). No certificates are required to be uploaded along with the online application at the time of online submission. candidature would be summarily rejected and admission will be cancelled. Filling of ICAR quota seats in PG programmes in Agricultural Universities through NTA Entrance Examination will not be allowed for non-accredited programmes, colleges and the Universities. Candidate should also note that for admission to Master’s degree programmes through an entrance examination conducted by NTA, only the candidates having passed graduation with four/six (10+6 B.Sc. Ag. )/five years’ (B.V.Sc. & AH) degree programme from any recognized University will be eligible. Candidates passed out from private Agricultural Universities/Colleges not accredited by ICAR will not be considered for admission through this examination. Further, in case any degree from a particular college/university is not considered for admission by an Agricultural University or any particular college/university has been derecognized by VCI/UGC or due to any Court directives (present or future) ICAR will not be responsible for admitting students of that college/university in the Universities not willing to admit such candidates. 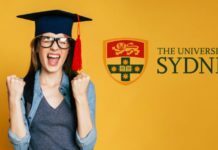 The candidates with a Bachelor’s degree with 3 years’ duration will not be considered for admission through ICAR AIEEA (PG) 2019 in AUs under ICAR-AU system except in two ICAR DUs, viz. IARI, NDRI for which the eligibility criteria of the concerned ICAR-DU, including the admission of graduates having passed with 3 years’ degree, would prevail for admission. For admission in M.V.Sc., candidates must have completed B.V.Sc. & A.H. with internship before the date of admission in the allotted university. Indian Nationals not below 19 years as on 31.08.2019 (i.e., candidate should not have been born after 01.09.2000) are eligible to appear in the examination. No relaxation is permissible regarding the minimum age limit. The online submission of Application Form for ICAR-AIEEA (PG)-2019, uploading of scanned photograph and signatures may be made at website www.nta.ac.in, www.ntaicar.nic.in. The candidates should complete all the required details while filling up the online form. On submission of details and the required fee, a Confirmation Page with Application Number shall be generated. Candidates are required to take a printout of Confirmation Page and keep it for future reference. In order to appear in ICAR-AIEEA (PG) 2019, the candidates are required to apply online as per procedure detailed below. Before filling and submitting the online form, candidates should download the Information Bulletin and Replica of Application Form; and read them carefully. Candidates must follow the instructions strictly as given in the Information Bulletin and on NTA website. Application Forms not complying with the instructions are liable to be rejected. Govt Identity Details like Aadhaar Number (last 4 digits)/Election Card (EPIC No. )/Passport number/Ration Card Number/ Bank Account Number/PAN Number/ Other valid Govt Ids. Address for communication, Mobile Number, email id, etc. Bank Account details for payment of Fee, for uploading as part of the submission of online application. The Replica of ICAR-AIEEA (PG)-2019 Application Form or Format is available at Annexure- VIII. Step 2: Upload scanned images of Candidate’s Photograph (between 10 kb – 200 kb) and Candidate’s Signature (between 4 kb – 30kb) in JPG/JPEG format. Step 3: Make payment of fee using a suitable mode of payment through the bank as per details are given in this section and keep proof of fee paid. Step 4: Print at least three copies of Confirmation Page after successful remittance of fee. 1. The final submission of Online Application Form will remain incomplete if Step-2 and Step-3 are not completed, such forms will stand rejected and no correspondence on this account will be entertained. 3. There is no provision for uploading any certificate/marks sheet etc., with the application. 4. The entire application process is online. Therefore, candidates are not required to send/submit any document(s) including Confirmation Page to NTA or ICAR through Post/ Fax/By Hand. Editor’s Note: ICAR AIEEA (PG)-2019 – Information Bulletin, ICAR AIEEA PG, ICAR AIEEA PG-2019, ICAR AIEEA PG 2019 Information, AIEEA PG 2019 Notification, ICAR All India Entrance Examination for Admission to Master Degree Programmes 2019. 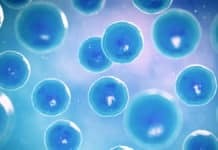 Check out the Biotecnika Times Newsletter and Podcast which are free services.